Why Choose Afton Endodontics for Advanced Technology? Root canal therapy and other endodontic services have come a long way in recent years, and a big part of that is the introduction of state-of-the-art technology and techniques. At Afton Endodontics, our valued patients can look forward to receiving firsthand experience with these modern benefits, such as greater comfort throughout the treatment process, elevated accuracy, improved efficiency, and more successful outcomes. Dr. Gell has been practicing this important dental specialty for decades now, and he makes it a point to stay right at the forefront of new developments for your sake! Contact us today in Concord, NC today to schedule a first visit, or if you have any questions. GentleWave technology has definitely transformed the traditional root canal therapy procedure here in Concord. Now, cleaning the canal(s) is simpler and more effective than ever before. The tool will administer a lethal combination of acoustic energy and treatment fluids, eliminating infectious bacteria, diseased pulp, and other debris. This approach will even reach very tiny spaces throughout the canal that more traditional tools weren’t capable of handling before. As a result, patients can look forward to even higher rates of success and longer-lasting improvement. 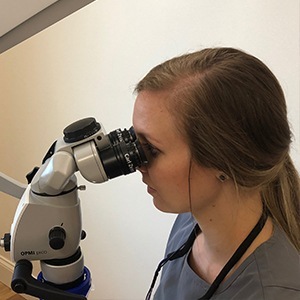 When treating the root canals and surrounding tissue, our team needs to be able to clearly view even the most minute details – after all, we can’t fix what we can’t actually see! That’s why surgical microscopes have revolutionized the endodontic field. Here in Concord, we have chosen to use proven Zeiss technology for high-powered magnification and illumination that’s virtually unparalleled. So much dental structure is safely hidden by the gum tissue and bone, particularly the areas that an endodontist is most preoccupied with. 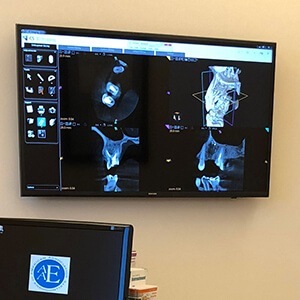 That’s why radiographs are an essential part of our treatment process, although patients can rest assured that we will only capture what is absolutely necessary. At Afton Endodontics, we use revolutionary digital X-rays for a superior diagnostic experience. 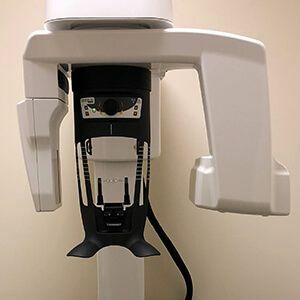 There are no darkrooms and no hazardous chemicals needed – instead, the high-resolution images we capture of the tooth roots and nerves are immediately available for viewing. Better yet, radiation exposure is dramatically reduced by up to 90% when compared with traditional film. Intraoral cameras provide invaluable diagnostic insight for our endodontic team and the patient alike. The process is simple – we’ll navigate a camera-tipped wand through the mouth to capture high-resolution images of the teeth and soft tissue. Then, these images will be transferred to a monitor in the operatory for immediate viewing. Dr. Gell can pinpoint the severity and location of traumatic injuries more accurately with this visual aid, and he can also help patients better understand the reality of their dental needs. Sometimes, digital X-rays simply can’t capture the full scope of the tooth that our team needs to perform endodontic treatment successfully. That’s where our advanced CB/CT scanner comes in! 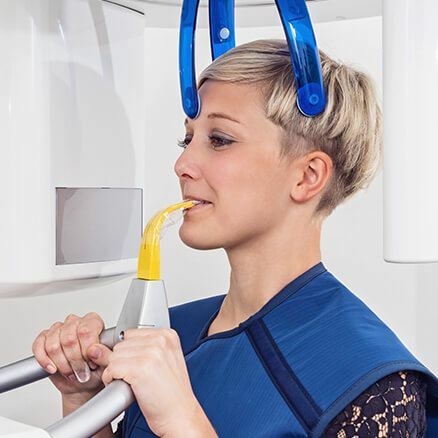 This technology will capture three-dimensional, exhaustively detailed images of the teeth, jaw, and connective tissues, mapping out even the smallest details like the locations of the sinuses and certain facial nerves.